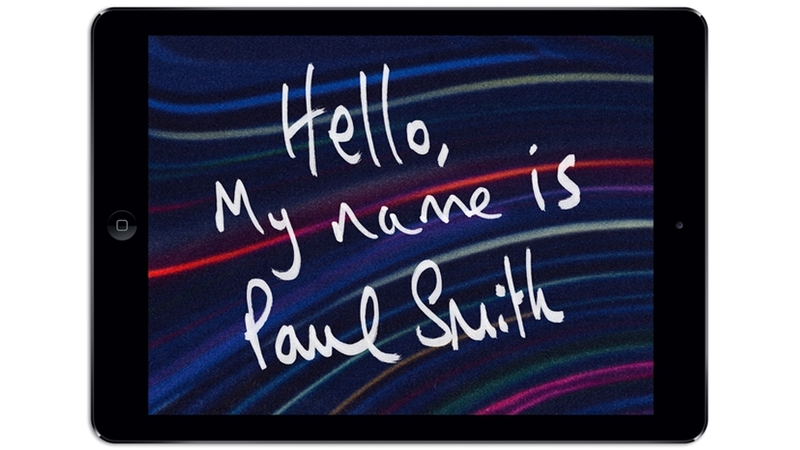 Coinciding with a major exhibition at London’s Design Museum dedicated to the British designer Paul Smith, comes the release of an iPad App. In four immersive sections, the app invites you to discover Paul Smith’s universe, explore his inspirations and understand the method behind his magic. Using your iPad camera you can see the world through Paul eyes, using the colours around you to create custom Paul Smith patterns; take a virtual tour of the staircase in Paul’s London studio, where the walls are bursting with a pictures and paintings from his own collection; flick through some of Paul’s mottos before sending him your own hand-written note or doodle and understand the connection between Paul’s love of photography and his unique design process. The app will be available later this winter. Visit the exhibition “Hello, my name is Paul Smith” at the Design Museum from 15th November 2013 – 9th March 2014. This entry was posted in News Snippets, Technology and Such Things and tagged 15 November 2013 – 09 March 2014., british design, british designer, design museum, Hello, ipad app, london, my name is Paul Smith, paul smith. Bookmark the permalink.